Organic Kosher Whole Grain breakfast. Easy to make, balanced, nutritious, healthy and keeps your body and mind in a good shape. It has a few ingredients and ready in 30 minutes. Boil water in a stainless steel cooking pot, add sea salt and oatmeal. When it starts boiling again – remove the foam with a strainer. Reduce heat and simmer with a lid on for 30 minutes. You can use these 30 minutes to do other things (put on makeup, prayers, pack lunches, cut up fresh fruits for the topping). Turn off the flame. Mix the porridge with a wooden spoon to reach an even consistency. Serve hot with your favorite toppings. 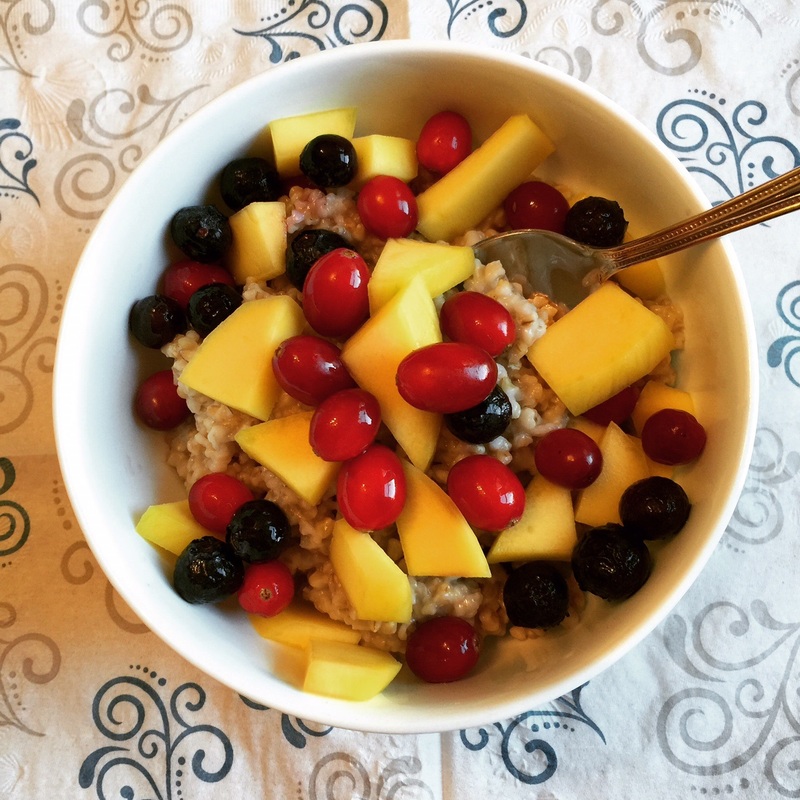 In this recipe I used cranberries, mango and blueberries.